If the USU Eastern women’s basketball team had a No. one fan, surely it is Cecilee Karns. She attends most of their games and leads the fan section in roaring cheers. One of Karns’ favorite part of the day is rebounding for members of the team. She came to USU Eastern as an ambassador. She travels to high schools throughout Utah to recruit students. She helps them enroll and figure out specifics about USU Eastern. Karns also hosts high school students on campus for tours and events. An embarrassing moment Karns experienced when giving a tour was tripping up the stairs to the library. Everyone on the tour laughed at her including herself. One thing that makes Karns unique is that she laughs at herself a lot. A friend of Karns, named Sarah Hubert, introduced her to the idea of becoming an ambassador of USU Eastern. The fact that USU Eastern is located in a smaller town was enticing to Karns, and she was persuaded. Karns likes small towns better because there are fewer people and less crazy drivers. On top of being an ambassador, Karns serves as the Church of Jesus Christ of Latter-day Saints relief society president, is over events for the institute council and is the hammock club president. Karns refers to herself as a “yes person.” In other words, she can’t say no when asked to do something. Service is a big part of Karns life. She is always looking for ways to help other people whether by making a breakfast for a group of people, or giving others encouragement when things aren’t going their way. 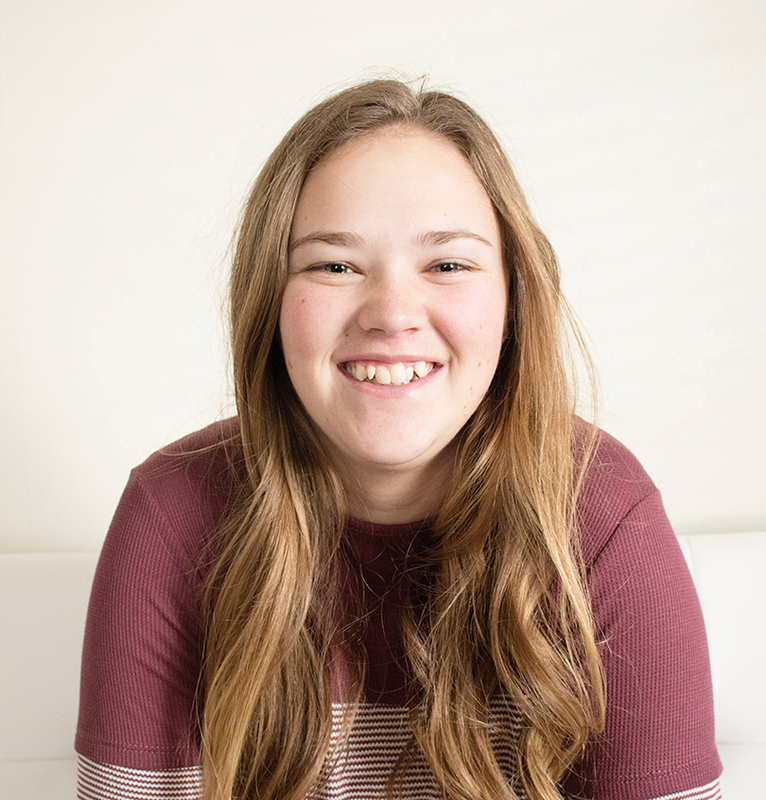 Karns attended Timpanogos High School where she played four years of soccer, served as the vice president of the service club two years and was the math club secretary. She also sang in the choir three years during junior high. Dark-chocolate-covered almonds is Karns’ favorite treat. Her favorite celebrity is Chris Evans and her favorite smell is pine trees. Hymn number 223, “Have I Done Any Good in the World Today,” is her favorite song. Her favorite movie is “Spirit Stallion of the Cimarron.” The amazing staff and the friends she has made is her favorite part of USU Eastern. A nickname given to Karns by her parents is “Princess.” Her mom was always worried that she would get injured playing soccer or outsmart her teachers. She is left-handed and owns 98 pairs of socks. If she could have any talent in the world, it would be to make any type of food magically appear or else dunk a basketball. One thing she wishes would happen tomorrow is to meet her future husband. She claims she makes the best chocolate chip cookies in the world and the most worthy cause on this earth is to love more and judge less. One of the wildest things Karns has done is kiss a graduated guy as a senior in high school on top of a water tower in broad daylight. She once won a health challenge against the Springer sisters, two of USU Eastern’s athletes. She was required to workout five times a week, drink 64 ounces of water a day and restrain from eating past nine at night. Karns wishes she could be a shoe model for Adidas. The No. one item on her bucket list is to take a bath in ranch dressing. If she were to get a tattoo, it would be on her rib cage of a mountain range. She wishes she had the talent to play basketball with the USU Eastern women’s basketball team. One of the best vacations Karns has been on was going to the women’s soccer world cup 2015 in Canada. When Karns was 12, she was watching a professional soccer game when she was put on the jumbotron. She was about to sit down when she missed the seat and fell to the ground. The person Karns admires most is her younger brother Hunter, who is deaf and missing his thumb and radius in his right hand. Despite his challenge, he goes to school and competes in both basketball and soccer. Karns plans to leave on an LDS mission over the summer and return to USU afterward to finish school. She hopes to earn a degree in psychology with a minor in math.